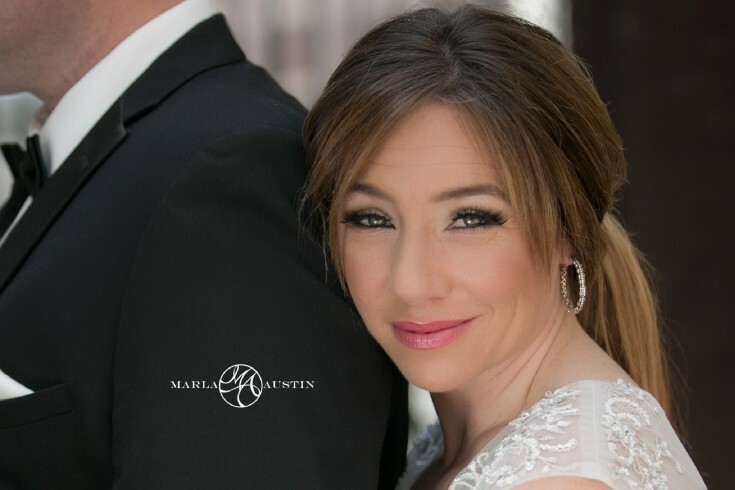 As a wedding photographer, I believe that it is important to build strong business-to-business vendor relationships! On July 13th, 2014, I was honored to be able to work with a few of the TOP vendors in our area for a styled shoot. Makeup was provided by Ashley of Ashley's Makeup Artistry. With over 10 years experience with top lines in the world, she is my absolute favorite MUA to work with! 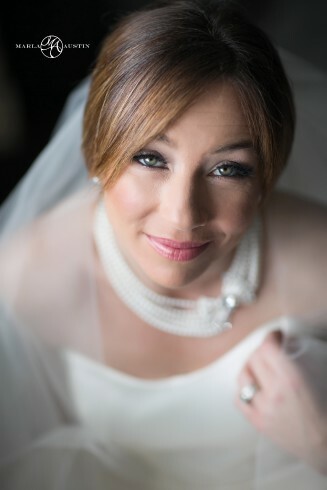 The look we choose for the bride was a clean, sophisticated, classic look. Ashley has a way of making you feel like you are at a spa while she applies your makeup (she really can take away any stress you have)! 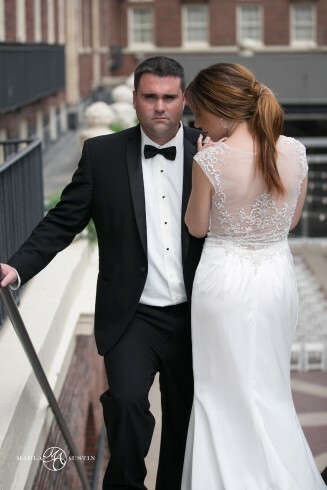 The dresses were provided by Ellynne Bridal in Lincoln, NE. "Simplicity is the ultimate sophistication" (Leonardo da Vinci). 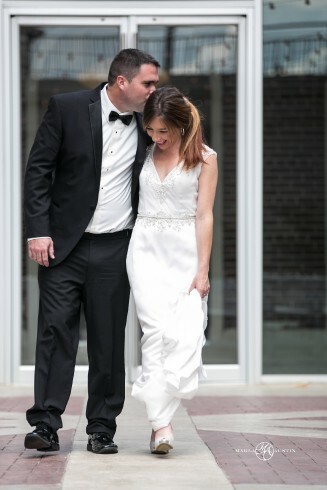 This was the goal for the first dress -- and I think that we nailed it! The dress is made of silk and had pockets (yes, pockets! Great dress for a bride that will need a place to keep her tissue handy for tears of joy that are sure to flow). The second dress, we wanted something more elegant & couture. The beading on this dress was a mixture of pearls and rhinestones -- on the front top and waist as well as on the back. GORGEOUS! Lynn, Nicole and team provide the best dress shopping experience...you will walk out of their boutique shop feeling like a princess! 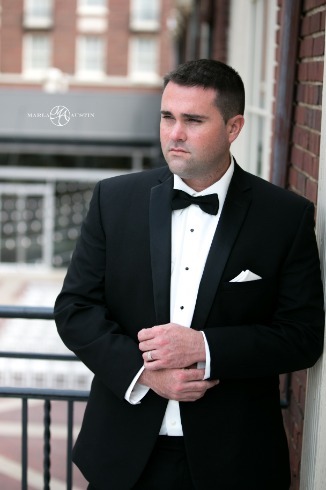 Tip Top Tux at Village Pointe in Omaha, NE, provided the Tux for the shoot. 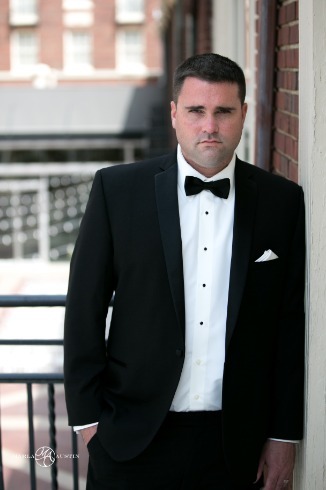 When choosing the look for the groom, we went with a James Bond feel (at the shoot I told the groom to channel his inner James Bond). 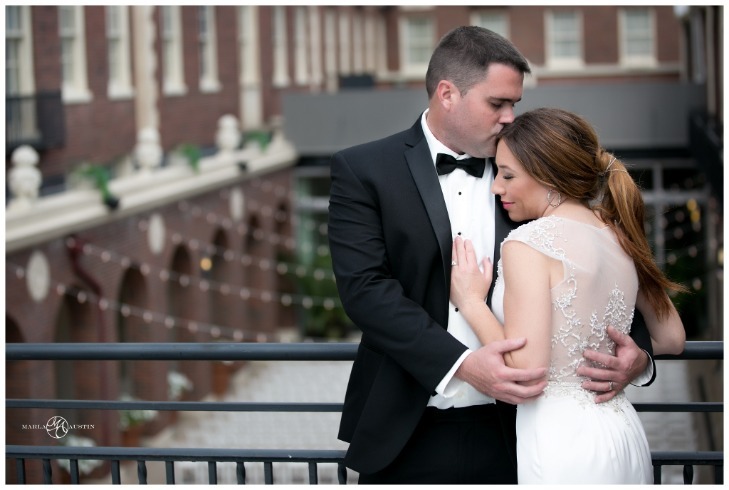 Tip Top Tux was so great to work with --- they have a TON of choices and provide everything you need including shoes, tux, cuff links, vest/suspenders, bow tie or regular tie, in more colors than you could even think of! Audrey and her team were a pleasure to work with! 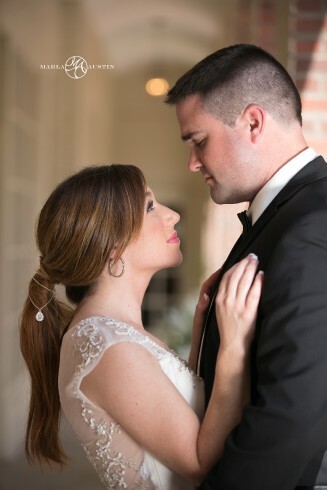 Gunderson's Jewelry at Village Pointe in Omaha, NE provided the gorgeous earrings for our bride! 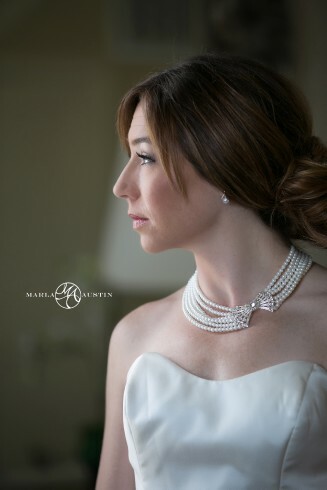 With the first dress, we had a simple pearl and diamond earring to keep the look refined and elegant. For the second dress, we opted to go with a diamond and filagree hoop to go with the beading design on the dress. I cannot say enough about Michelle and her team at Gunderson's. From the moment that you walk into the store, they make you feel like you have known them for years- professional and personable! They have some of the most exquisite pieces to accentuate any dress!